Most of us are concerned about security, where our browsing and purchasing choices being recorded for advertising purposes. This is not the same as "Big Brother is watching" but is a security issue just the same. There is a feature on many of our browsers that tell the websites you visit that you do not want to them to track your visit. Keep in mind that is a voluntary service and individual sites do not have to honor your wishes. 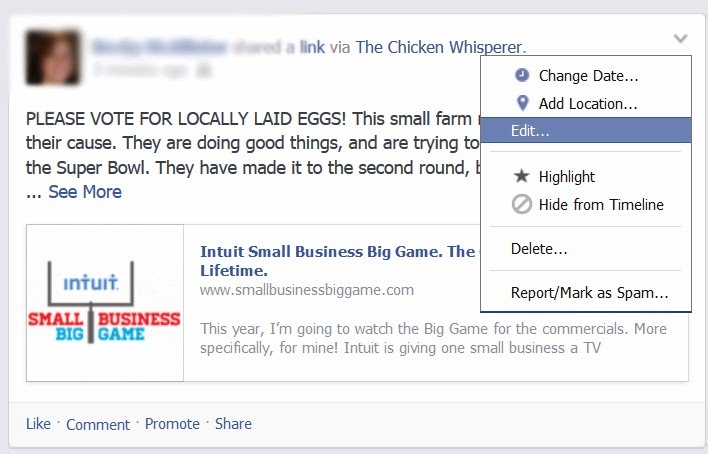 For those that do, it will reduce some of the targeted advertising you see as you browse the web. Turning this feature on will not have any effect on logging into websites or your browser from remembering your history or other options. 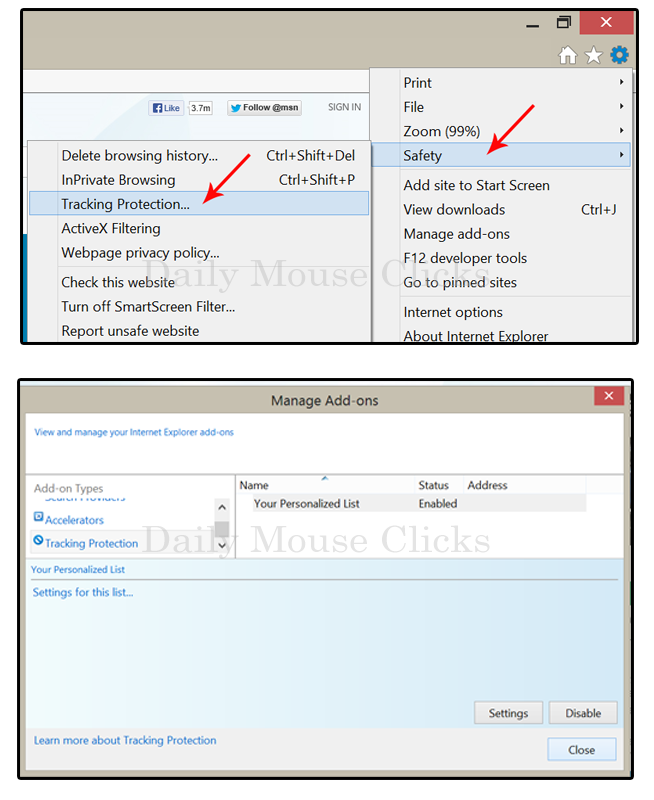 In Firefox, you can access this feature by going to Options, Privacy and selecting the option of your choice. 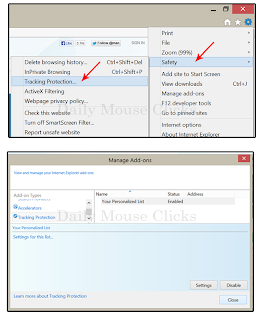 In Internet Explorer 10 it takes a few more steps as you have more options. 4. Select Enable or Disable. If you want to read more about this tracking, other browser options or the sites that honor your Do Not Track feature, go to http://donottrack.us/. So, I do enjoy recipes and they are a harmless collection, but more and more recipes are showing up on FB. My son says it is because all the "old" folks showed up on FB, but I say that old and young can share the platform, but I digress. You find this great recipe posted on Facebook (Or Pinterest) and decide you want to keep it, so you post it on your wall so you can find it again.. but wait.. it isn't alphabetical, you can't even search for it, so that recipe you want to use is now listed 10 miles down your timeline somewhere under 2011. Honestly, there are better ways and I would love to hear your suggestions. This is what I do. I use my Evernote program to save the document. There is a cute link on my browser navigation (featuring an elephant) at the top of my browser. 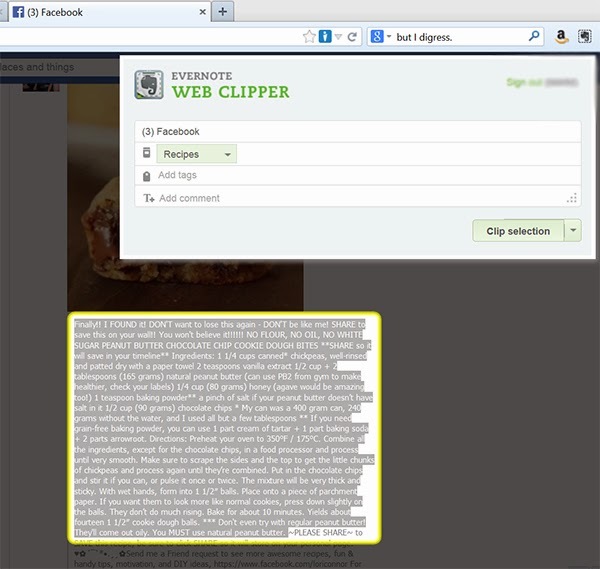 I highlight the text of the recipe, click the elephant button and Evernote Web Clipper pops up. I have a category all set for Recipes and click the Clip selection button. I am done. When I want to get the recipe, they are all found in Evernote where I can browse OR search for the recipe of my choice. Since Evernote saves my information "to the cloud", I can access it from my desktop computer, laptop or even my tablet or phone. Now don't think that it can only save recipes, oh no! Pictures, webpages, quotes, letters, ideas... Evernote helps you manage all those snippets. The best part? Free... yep, my favorite word, Free.